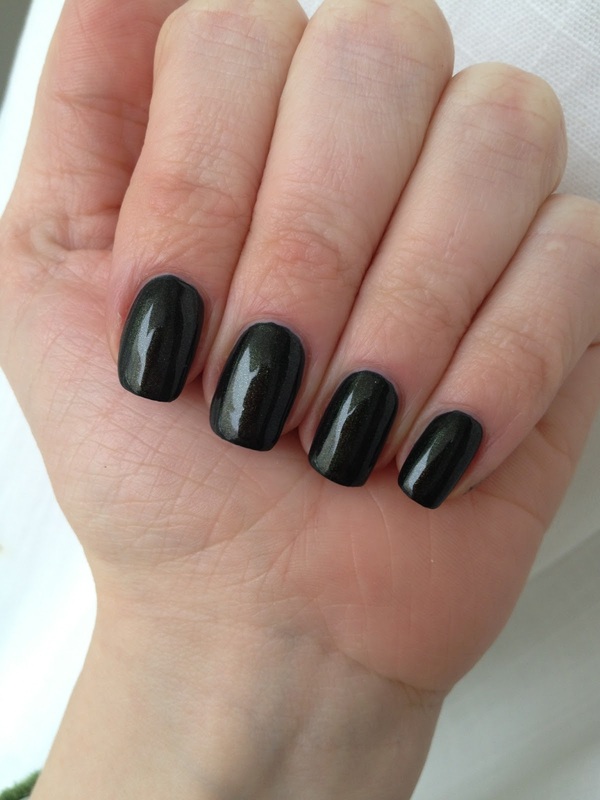 I got this from Norway Nails. 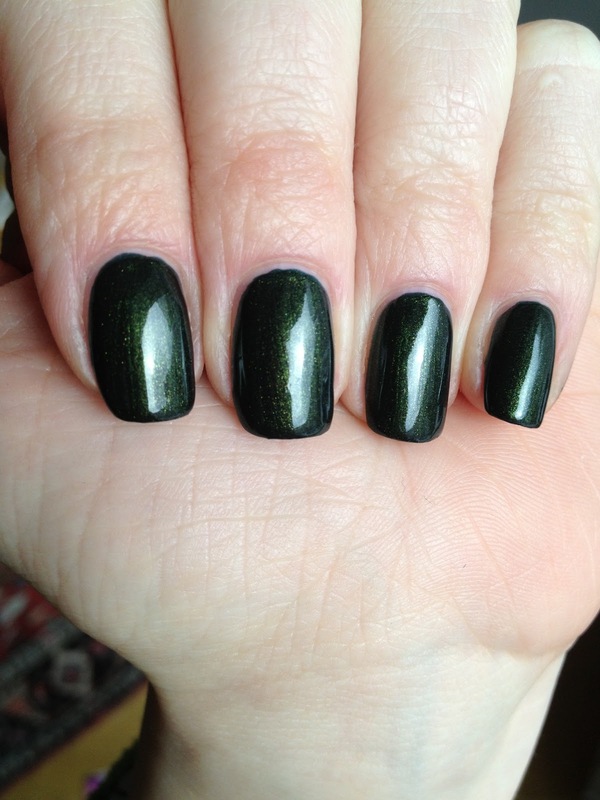 It is a really dark green with golden shimmer. The formula was a bit thick and gloppy, but this is practically a one-coater. I have two here though for a really deep finish. It is very shiny on its own, I used SV only to speed up the drying. I usually don't like round brushes, but I'm really pleased with how round and clean the edge looks at the bottom. So - in spite of a gloppy formula and a round brush - Linda Johansen is doing SOMETHING right to make such an end result possible. Bravo! The book is also Bravo! 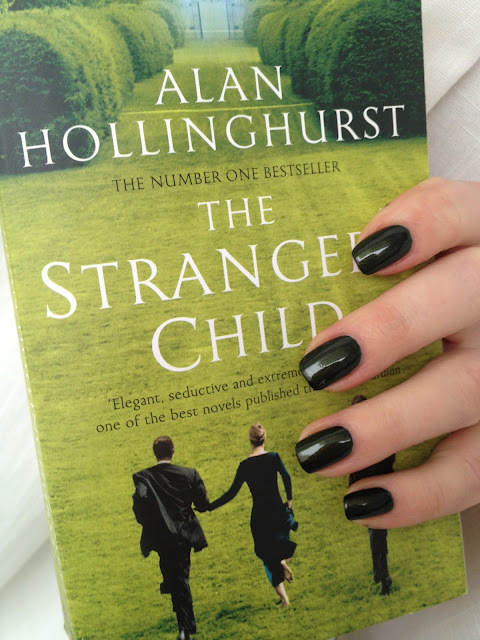 The Stranger's Child (Alan Hollinghurst) is about an aristocratic family and the book kind of makes stops across about a hundred years I guess (i haven't finished yet). I've always been fascinated by time and what it does to us, so, naturally, this kind of structure appeals to me. Also, Hollinghurst is fantastic with feelings, especially the subtle ones: faint discomfort, a child's disappointment etc. He is spot on and really makes you feel what is writing.